While the recipient is listed first, there is no significance to the order of the remaining nominees. 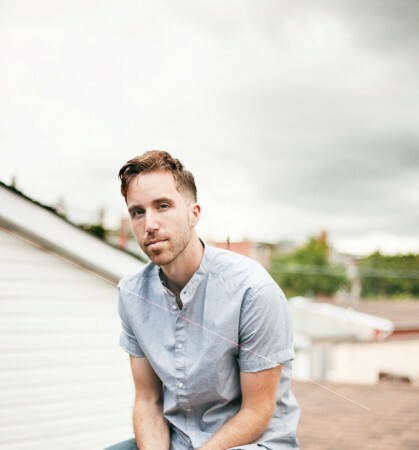 Matthew Byrne was born into a family of Newfoundland music makers and his repertoire is heavily influenced by his unique musical lineage. This tradition thrives on the song – the weaving of a great story with a beautiful melody – and Matthew’s music reminds us how satisfying traditional songs can be when stripped down to these basic elements. His live performance offers tasteful and honest interpretations of folk songs delivered with polished guitar work and powerful vocals. His repertoire transcends time and place with traditional songs from both sides of the Atlantic. With vibrant duets, deadly songs, handmade banjos and old guitars, Pharis & Jason Romero have a classic story. After some old records and a custom banjo led to their meeting in 2007, they knew they were in for the long haul. They’ve since released five award-winning records – three as a duo – and toured across North America and the UK. 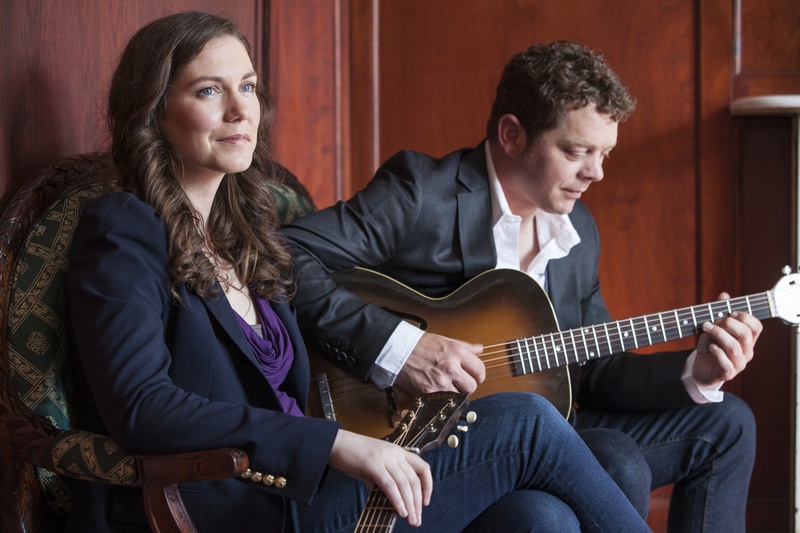 They’ve been featured on NPR Music, and performed on the Vinyl Cafe and A Prairie Home Companion. 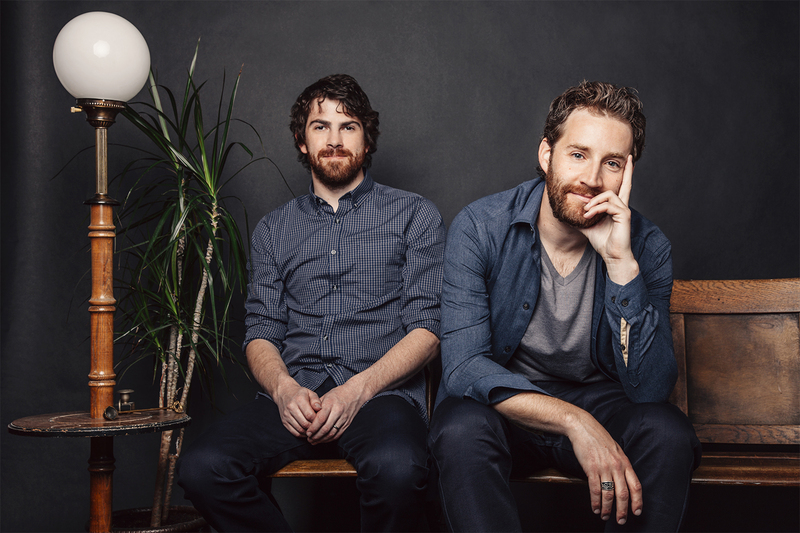 They are passionate about many things folk, and their heartbreakingly harmonic live show is a never-ending quest for beautiful songs and sounds. 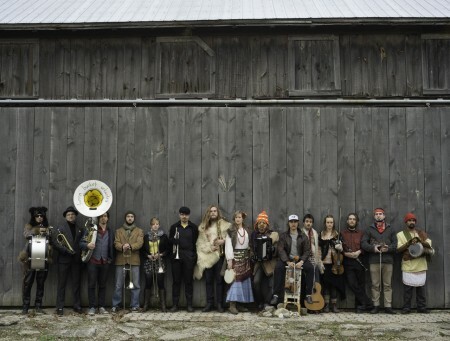 Focusing on songs collected by folklorist and field recording pioneer Alan Lomax, this collaboratory brings together some of North America’s most distinctive and creative roots musicians to revive, recycle and re-imagine traditional music. The repertoire includes Bahamian sea chanties, African-American acappella singing from the Georgia Sea Islands, ancient Appalachian ballads, fiddle tunes and work songs collected from both well-known musicians and everyday folk: sea captains, cowhands, fishermen, prisoners and homemakers. Collaborators include Grammy- winning songwriter Tim O’Brien, Bruce Molsky, Margaret Glaspy, Moira SmileyBrittany Haas, Julian Lage, Eli West, and more. 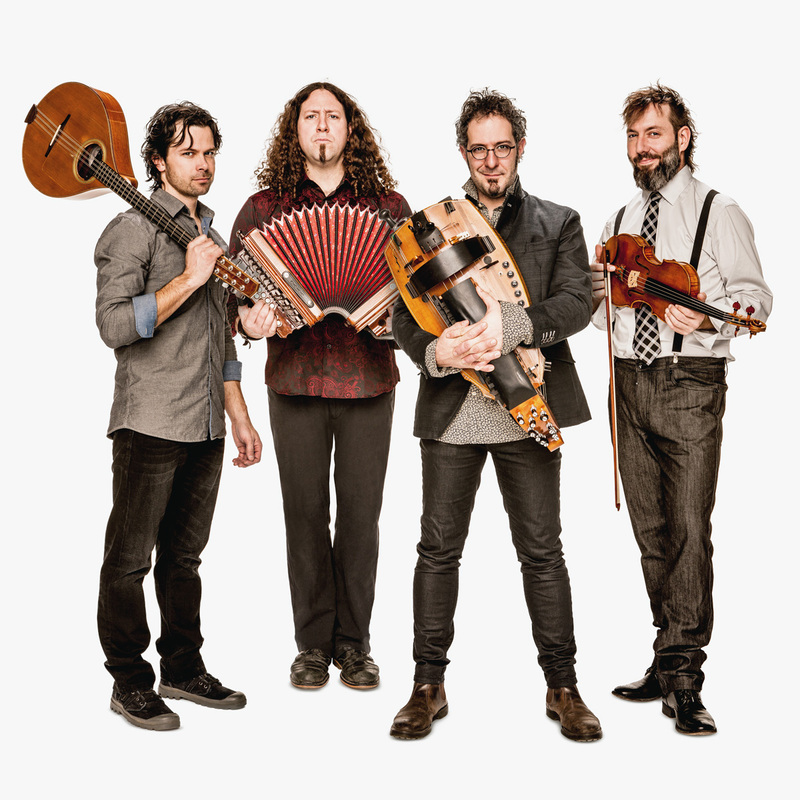 In both arrangements and on stage Le Vent du Nord is blazing a trail that connects their Québecois roots to the wider world. Considered a driving force in progressive folk the band captures the spirit of a Saturday night kitchen party, infusing old Québec with a breath of fresh, cosmopolitan air. In over 1400 concerts the band has won critical acclaim across Europe and the Americas. They have earned several awards, including a Grand Prix du Disque Charles Cros, two Junos a Canadian Folk Music Award, and “Artist of the Year” at Folk Alliance International. After releasing her debut album in 2004, Catherine MacLellan earned immediate critical acclaim, winning awards and being labeled “Critics Favourite New Discovery” by Penguin Eggs magazine in 2008. Since then she has toured internationally and her music has been a perennial fixture at the top of Canada’s Roots Music Charts, winning acclaim from international media including the Austin Chronicle, The Boston Globe, BBC Radio, Maverick Magazine and Q Magazine. 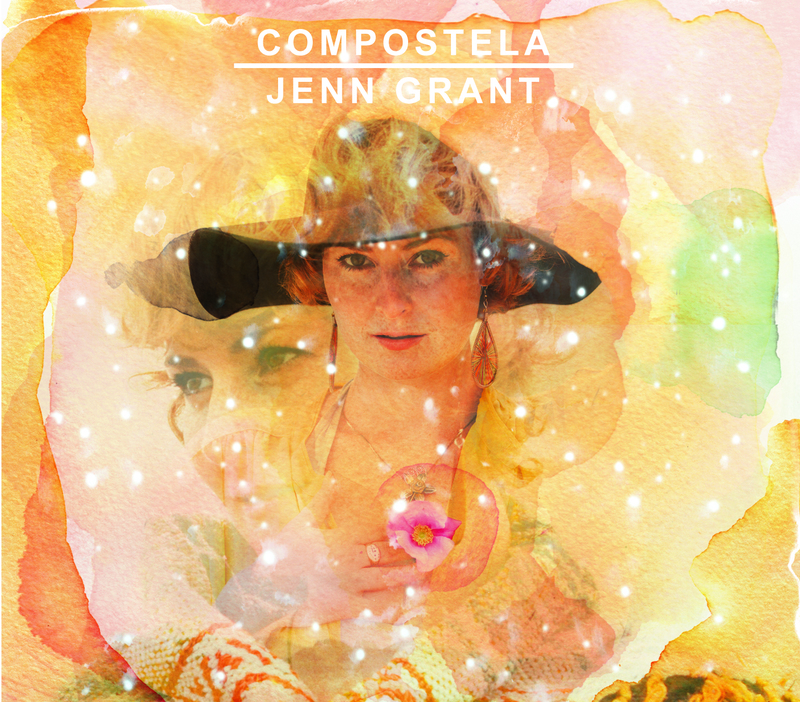 Jenn Grant is the heralded singer/songwriter from Nova Scotia and, with four albums under her belt, she has embarked on a new journey with her best collection of songs to-date on Compostela. There is a cosmic element to the melodic storytelling and folk balladry of Compostela – translated to “Field of Stars” from the legend that dust from footprints of the El Camino pilgrims comprises the stars in the Milky Way. A subtle groove alongside moments of Spanish-inspired guitar find warmth reminiscent of tape in the intricate layers of instrumentation, reflecting Jenn’s important journey begun in Barcelona in 2012. In 2014, The Once released Departures – their first album on Nettwerk Records – and embarked on a world tour opening for Passenger. Departures features Geraldine Hollett’s incandescent voice, and spirited acoustic instrumentation supplied by Andrew Dale and Phil Churchill. 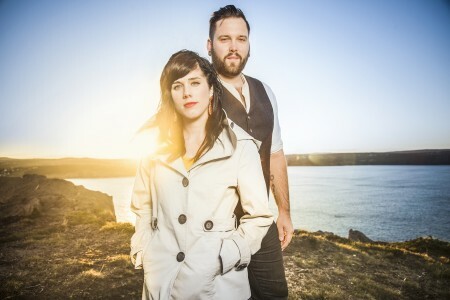 The Once has collected 3 Canadian Folk Music Awards, 2 JUNO nominations, and been named Newfoundland & Labrador Art Council’s Artist of the Year. With 100+ performances in 17 countries over the past 12 months, the rest of the world has now discovered the joyous, harmony-rich acoustic music that has made The Once such favourites in their homeland. 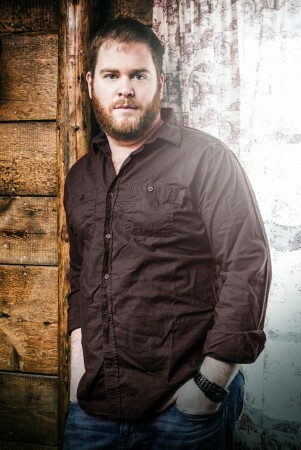 Jon Brooks is a Canadian musician and songwriter. Primarily known as a solo acoustic guitarist and vocalist, he is also proficient with a wide range of instruments including piano, Hammond organ, harmonica, drums, and most recently, the harmonium. Among the accolades he has received are three nominations for English Songwriter of the Year at the Canadian Folk Music Awards. The Smiling And Beautiful Countryside (2014). Hailed as “one of finest new songwriters in Canada,” (Tom Power, CBC) Gabrielle Papillon sings stories real and imagined. Words and harmonies are her currency. 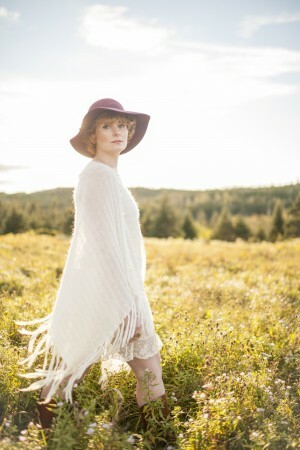 Her fourth album, ‘Little Bug’, was nominated for a 2013 ECMA for Folk Recording of the year, and three Music Nova Scotia Awards (including SOCAN Songwriter of the Year, Folk Recording of the Year). Produced by Daniel Ledwell, Papillon’s fifth offering ‘The Tempest of Old’ is big and dark, orchestral and defiant. Rife with a purposeful swampy, gothic underpinning, the album garnered rave reviews, and charted on the national !earshot and CBC Radio 2 charts. 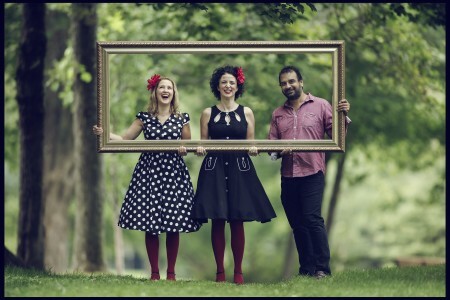 The Swinging Belles, a swing band for kids from St. John’s, NL, feature child educators Laura Winter and Erin Power joined by guitarist extraordinaire Duane Andrews. This show is about getting kids and parents out to dance and enjoy some swing country and jazz … kid style. As primary school teachers, both Laura and Erin know first hand the joy kids feel when they can boogie to some good music, and as parents, Duane and Erin know the importance of enjoying the music that our kids are listening to! The show is packed with music, interactive storytelling and dancing! Stella Swanson is a nine-year old singer/songwriter who released her debut album, ‘I’m Not a Bunny,’ in December of 2014. Stella was fortunate enough to have Juno Award winning songstress Helen Austin produce the album for her. 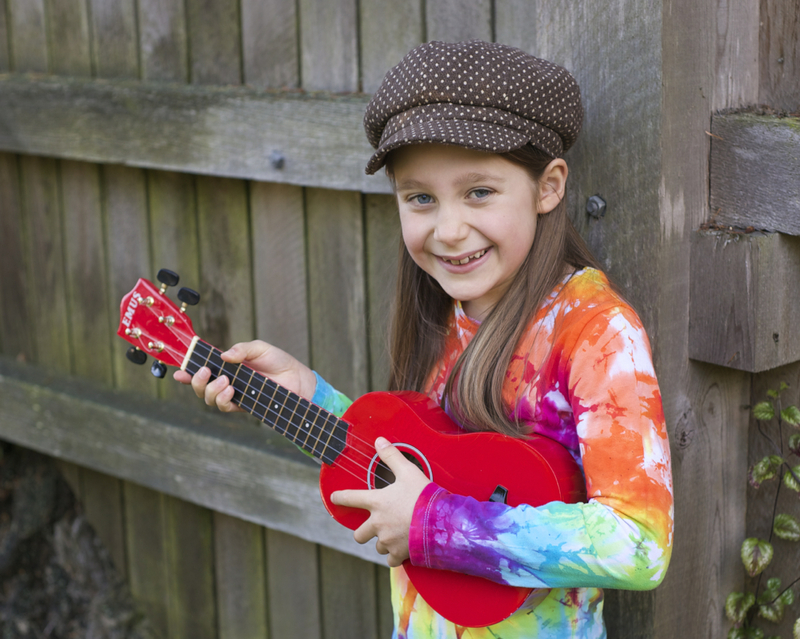 Stella wrote three of the songs on the album by herself, and the other six original songs were collaborations with her seven-year-old sister, Sophie, and her mum Karen, who also sing back-up on the album. Stella and her family live on Vancouver Island with their pet rabbit, Romeo, who was the inspiration behind the title track. Hilary Grist is a singer-songwriter from Vancouver, notable for her song placements that have been part of nine major television shows. As well, Grist has built an international following from tours across Japan, South Korea and North America. 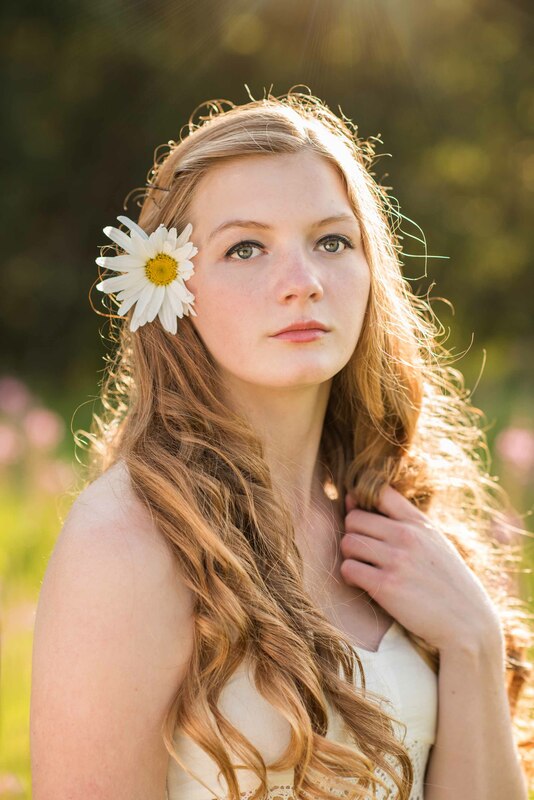 She is a graduate of the Capilano University Jazz Studies program in North Vancouver. Her influences are as diverse as Ella Fitzgerald, and Tom Waits, along with Debussy. 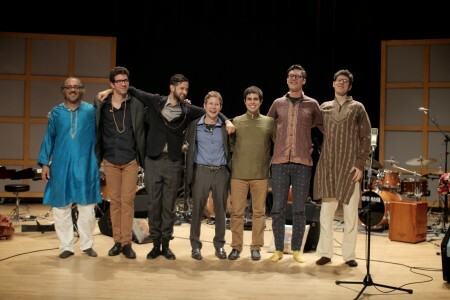 Grist has performed in many Canadian festivals including the Vancouver International Jazz Festival and North by Northeast. Grist recently released her fifth studio album entitled Come and Go. Henri Godon - La vie rêvée! Henri Godon is the project of two old friends who wished to bring happiness into the musical universe through some good old child’s play fun. For 25 years, Denis Massé has travelled all over Quebec entertaining children with tales. In 2011, he began to write songs for the younger ones. With the help of his musician and producer friend Jeannot Bournival, he got into the process of recording them. At once funny and poetic, the texts are inspired by the daily lives of children and are highlighted by bold and surprising musical arrangements. A delight for young and old alike! Ginalina is a Mom to four amazing, young children. She is also a Vancouver-based, award-winning folk singer-songwriter. Her debut album, Sandcastle Magic, won two awards: Parent’s Choice Silver and Mom’s Choice Gold. Her passions are encouraging the young at heart, discovering beauty in ordinary moments, and facilitating deeper community through excellent music. 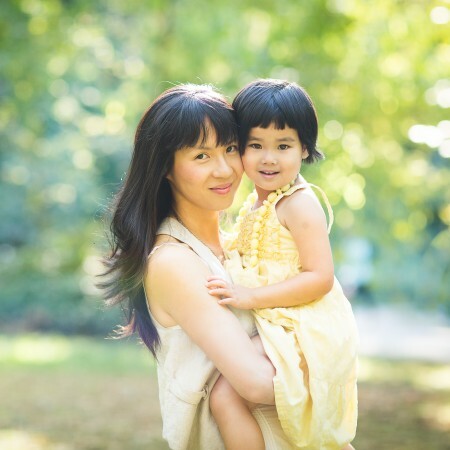 Her vision is to make excellent, interesting, and enriching music that can be enjoyed every day, 50 times a day … 100% tested by music-loving kids and their adults! Michael is a multi-instrumentalist, a songwriter, and a living encyclopedia of American Roots music. “SLIDING DELTA” is a tribute to his early influences including Mississippi John Hurt, Fred McDowell, Memphis Minnie and many others. Recorded live off the floor it features MJB on several 6- and 12-string guitars, 5-string banjo, mandolin and rack-harp. 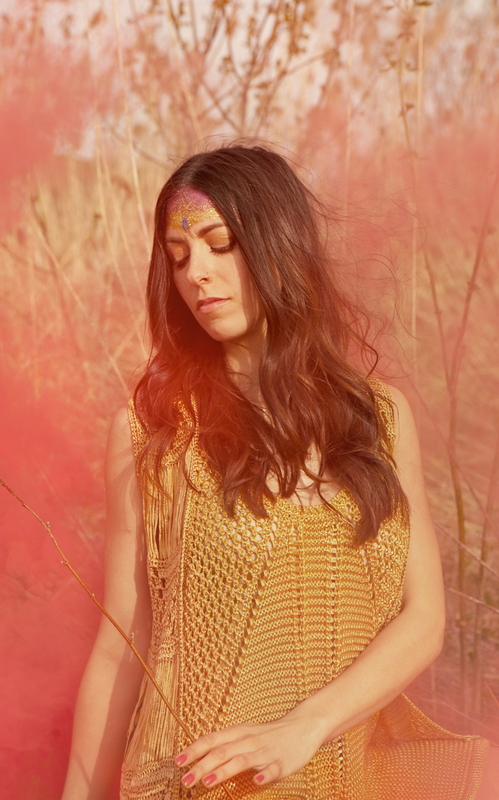 Vancouver Island based Annie Lou has been touring major festivals and stages nationally and internationally for several years. Drawn to the haunting flavours of old time mountain, bluegrass, and traditional country music, her original songs are steeped in these influences and chronicle the hard-hit, hard-won victories of everymen and women. 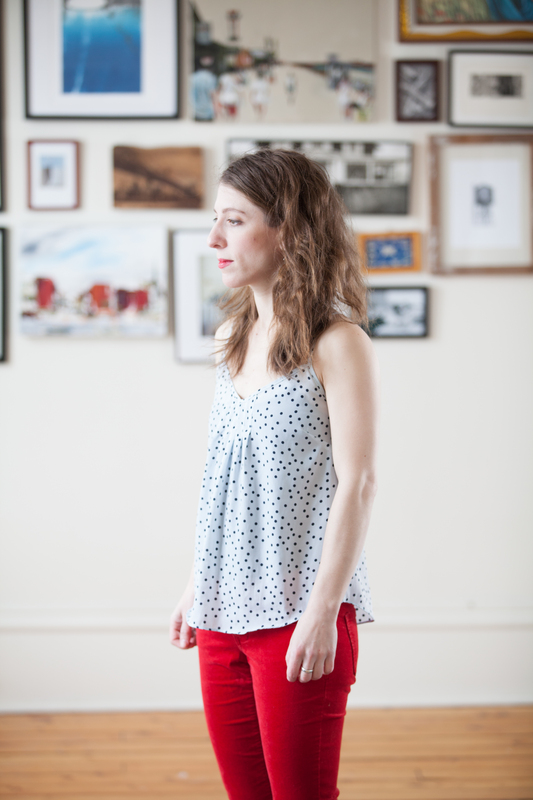 A Juno, WCMA, and past CFMA nominee, her third Annie Lou release Tried and True includes collaborations with some of the best of Canadian acoustic musicians. 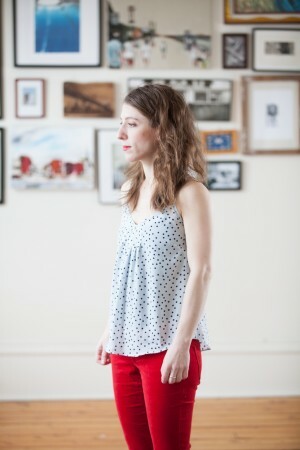 Annie Lou’s music pays joyful homage to tradition with a modern acoustic feel that connects and celebrates the past and the present. Singer/dancer Tamar Ilana has lived and breathed traditional Mediterranean and Balkan music from girlhood, traveling and performing with her ethnomusicologist/singer mother. 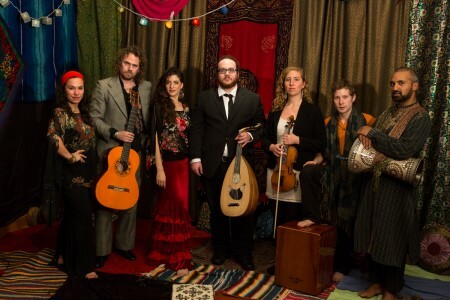 Her trans-Mediterranean ensemble Ventanas, founded in 2011, embraces and expands this early experience, embracing the many instrumental and melodic possibilities of the region to create fresh interpretations and original songs. Oud and baglama, flamenco footwork and darbuka intertwine with a powerful commitment to convey joy and yearning. The combination garnered the group two Canadian Folk Music Award nominations in 2014. “My name is Amelia Curran and I’m from St. John’s, Newfoundland.” Thus announces Amelia Curran at the beginning of every show, before she proceeds to devastate audiences with her knife-sharp take on life, love and loss. 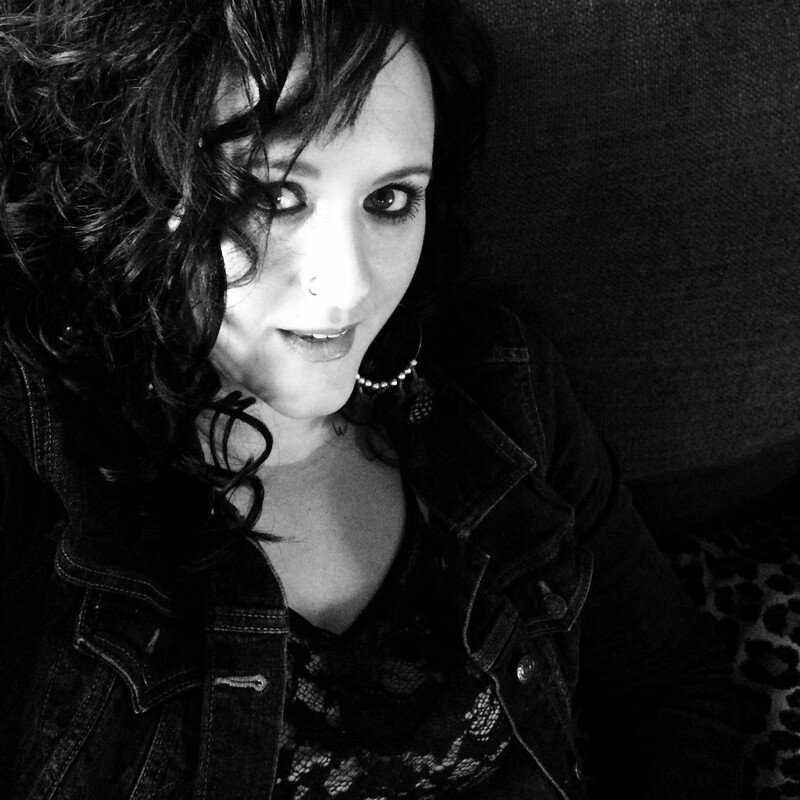 This songwriter extraordinaire and pride of Newfoundland comes to Interstellar Rodeo with her third Juno nomination in a row under her belt, this time for They Promised You Mercy, released in late 2014 on Six Shooter Records. The album is a consummate work that raises the lyrical bar yet again with its unrivaled eloquence. Jory Nash is a Toronto-based singer songwriter who blends elements of folk, jazz, blues, soul and country into an original stew of sound. He has released 8 critically acclaimed solo CDs. 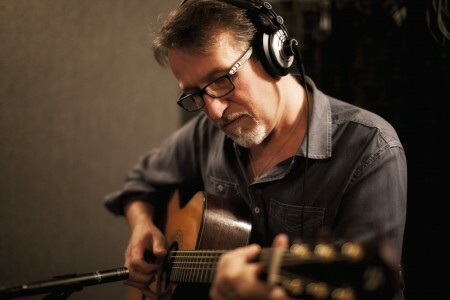 Jory Nash has been twice nominated for CFMA Awards, and his 2009 album “New Blue Day” was named Penguin Eggs Magazine’s Critic’s Choice Album of the Year. Jory’s music is regularly on CBC Radio, SiriusXM, Stingray Digital, BBC, CKUA and numerous other North American radio stations and programs. Jory Nash tours regularly across Canada & the US. Peter Katz is a JUNO-nominated singer-songwriter who tours extensively internationally and was recently crowned Best Male Vocalist (NOW Magazine 2014 reader’s poll). Hailed by CBC Radio 2’s Tom Power as “one of the most heartfelt, beautiful and vulnerable records of the year… an astonishing record” Peter’s latest release ‘We Are The Reckoning’ was co-producerd by Royal Wood and Bill Lefler (Ingrid Michaelson, Cary Brothers), released through Maple Music/Fontana North, and supported by a full-band tour across Europe and Canada including several sold-out shows. Described by the magazine Rootstime in Belgium as ‘One of the greatest talents of our era”, and listed as the “2nd best gig” by the major UK newspaper The Independent, becoming the #1 most played artist on Canadian Galaxie Folk/Roots radio, Western Canadian Music Award winning artist Sarah MacDougall is getting known for her honest and poetic songs, passionate performances, and unique voice. Born in Sweden, Swedish magazine Nöjesguiden declared her “One of Sweden’s best singer/songwriters”. 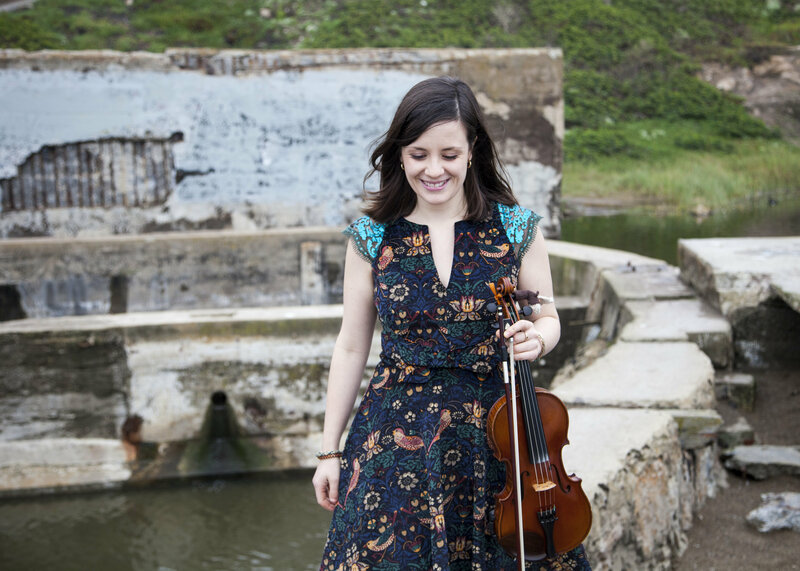 Canadian fiddler & stepdancer Adrianna Ciccone is quickly establishing herself as a distinctive voice in the North American new-acoustic music scene. 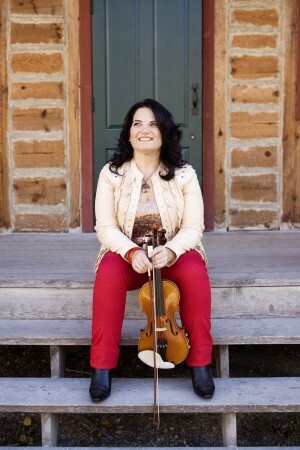 Her style, while rooted in the Ottawa Valley & Québecois fiddle traditions, continues to be inspired by many different regional fiddles styles of Canada and the world including Appalachian, Métis, Cape Breton, Irish, Scottish & Scandinavian music. Adrianna’s desire to explore new musical languages is reflected in her compositions and arrangements which draw from traditions of the past while forging a unique musical identity. The Berklee College of Music graduate recorded her debut album The Back of Winter in January 2015. One of the most respected fiddle players in North America, Patti Kusturok (formerly Lamoureux) is known for her effortless delivery of some of the best traditional Canadian fiddle music of all time. 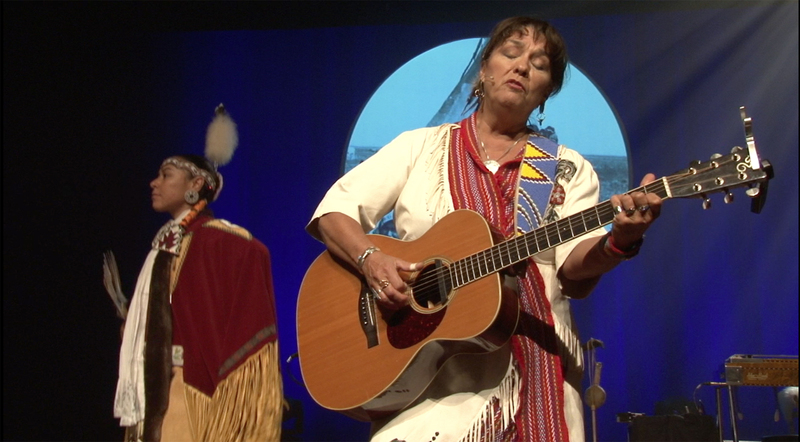 Patti performed on the Theoren Fleury recording “Walk With Thousands” as well as performing with him on the 2014 Indspire awards. “Iced Capp Swing,” from her latest recording “Milestone,” reached the top 15 on the National Aboriginal Music Countdown. Patti is the creator of “Patti Kusturok’s 365 Days of Fiddle Tunes,” a “tune-a-day” upload to YouTube for the entire 2015 year. 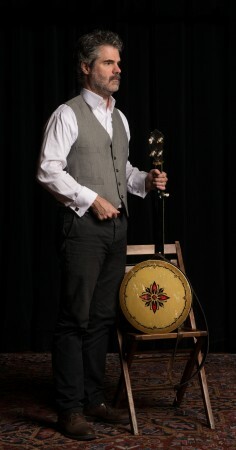 Composer and multi-instrumentalist Jean-François Bélanger has spent many years refining his personal vision and approach toward traditional music. His finely-crafted compositions have left critics praising his artistic maturity, his inventive arrangements and his versatility. In recent years, his work has been deeply influenced by scandinavian musical traditions and his main instrument, the nyckelharpa. In addition to his own albums, he has participated in over twenty recordings including those of La Bottine Souriante, La Volée d’Castors, Yves Lambert and Genticorum. Wendy MacIsaac is a fiddler/piano player/stepdancer from Cape Breton. 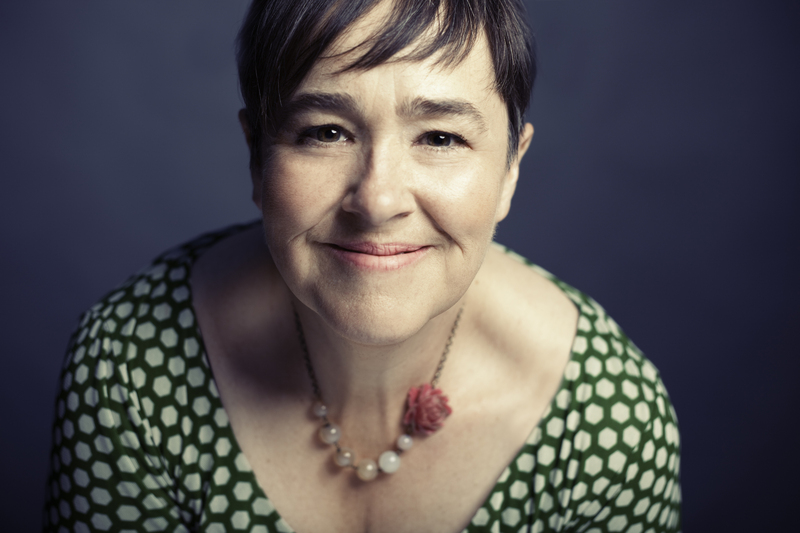 Wendy has been touring around the world for the last ten years with Mary Jane Lamond, Ashley MacIsaac, Beolach and as a solo performer. She has performed in Italy, Brazil, the UK, Ireland, Iceland, Eastern Europe and all over North America. Wendy’s recordings include ‘The Reel Thing’ (1994), ‘That’s What You Get’ (1996), ‘Timeline’ (2003) and her latest album ‘Off The Floor’ (2014). Beolach recorded a self-titled album (2001), and Wendy is often featured on Mary Jane Lamond’s solo works. Wendy and Mary Jane released their award-winning album ‘Seinn’ in 2012.
sideman role he has so ably filled . The Lemon Bucket Orkestra is Canada’s only balkan-klezmer-gypsy-party-punk-super-band. Born on the streets of Toronto as a busking band in 2010, the original quartet of guerrilla-folk troubadours quickly amassed a battalion of troops armed with brass and bows and started touring the world. 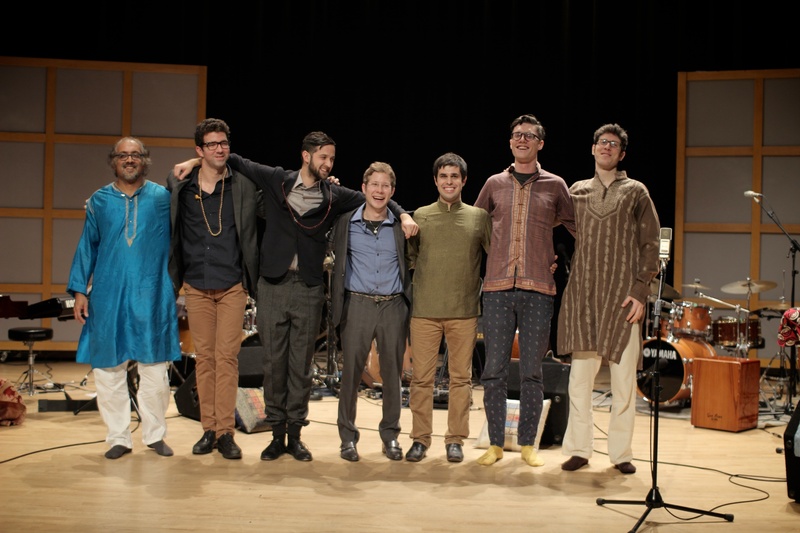 LBO has been nominated for several awards, heralded as ground-breaking by international media, and has performed at international festivals across the globe, but their greatest achievement is their ability to embody the dynamic space between “home” and “exotic” and to welcome audiences into the celebration of that space. Coastline is a string ensemble comprised of 15 of BC’s top young musicians ranging in age from 12 – 19. Individually, the members of Coastline have won many awards and competitions, and as a group, their talents blend to form a strong, united sound that is a force to be reckoned with. With 10 fiddles, 2 cellos, 2 guitars and piano, the group of talented teens play a diverse and exciting repertoire. 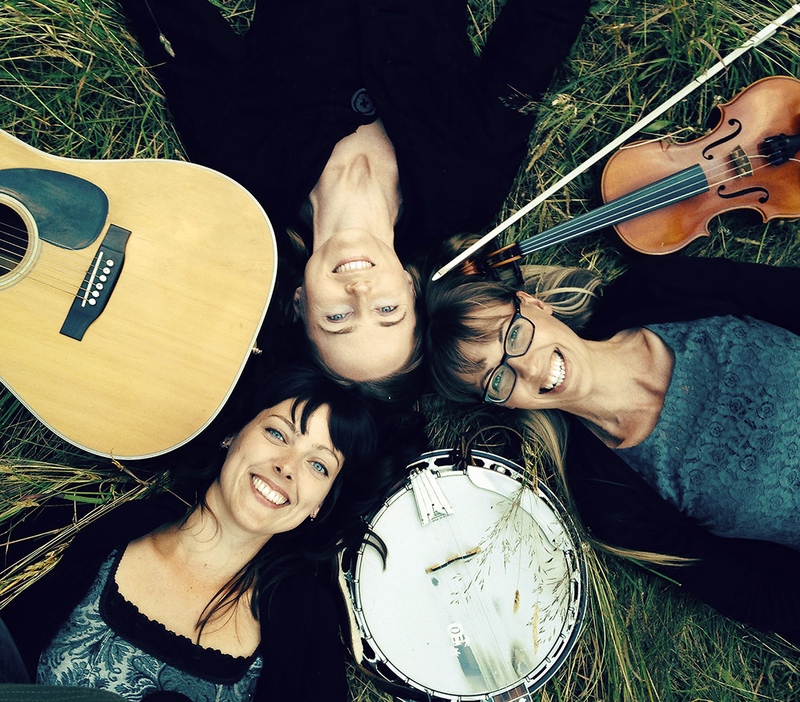 With intricate arrangements of traditional, original, and contemporary fiddle tunes from around the world, Coastline is pushing boundaries and always having a great time whenever they play. Shane is a three-time Canadian National Fiddle Champion and the only foreigner to win the US Grand National Fiddle Championship. Jake is continuing to build a reputation as one of Canada’s finest multi-instrumentalists, accompanying artists around the world on piano, guitar and tenor banjo. Monsoon is an Indo-Jazz collective that unites elements of Jazz and Indian Classical music into a rich and meaningful cross-cultural expression. Captivating audiences with memorable original compositions that feature Indian melodies on bansuri and esraj, worldly grooves on tabla and drums, and creative improvisations on saxophone, bass and piano, Monsoon’s synthesis of India’s ragas with the creative and harmonic expression from the West has innovated a fresh approach to Indo-Jazz. Monsoon’s debut studio album “Mandala” has received international recognition since it’s release at Glenn Gould Studio in November of 2014. 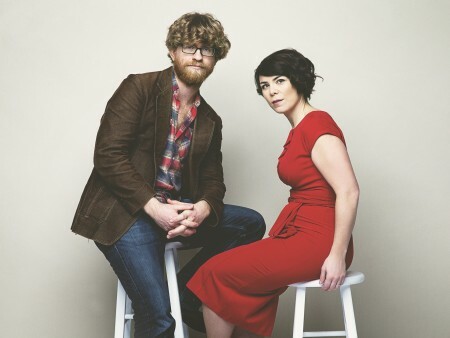 Pop Folk duo Fortunate Ones – Andrew James O’Brien and Catherine Allan – endears audiences with wide-eyed energy, pragmatic optimism, and an earnest mission for connection. 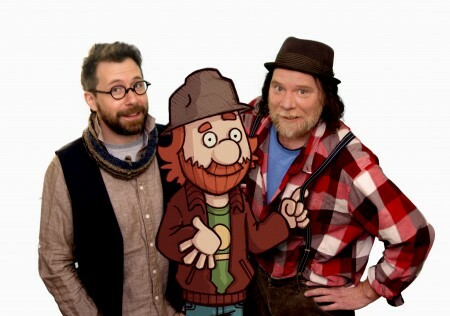 They grew up on opposite sides of Newfoundland. It was in St. John’s where they began to sing together. Upon moving to the city, Catherine’s induction to the music scene was rapid – performing with Andrew, Amelia Curran and Don Brownrigg. Andrew released well-received solo album Songs for Searchers – nominated for ECMA’s 2012 Best Pop Recording. They quickly realized they were a duo. “The Bliss” is their debut release. The classic tale of musical romance continues for Luke Doucet and Melissa McClelland, the duo behind Whitehorse. Their live show is built on mesmerizing guitar work and smoldering vocal chemistry. Leave No Bridge Unburned is a fiery, forceful and finely tuned album. While there’s more in the mix now, more sonic swagger in the ears, Whitehorse will continue to be a story told of intimacy and passion. Two musicians, one band, no looking back. Landing in Montréal as a 17 year old, he befriended four musicians with whom he would go on to form Karkwa. The band became a leading light of the Québec independent rock scene. Alongside his role as a singer-guitarist, he also produced the debut efforts of Marie-Pierre Arthur, David Marin, Lisa LeBlanc. With a voice and sensibility affirmed, his debut solo album Le Treizième Étage followed in 2015 by his second solo album; Les Grandes Artères. Placard struck out on his own with Rang de l’église (2005) and Raccourci (2008), two critically acclaimed albums. Next, Placard Macbeth (2009) and Placard (2010) were succeeded by Démon vert (2012). As a producer, Placard has hosted many singers, songwriters, and composers in his shed ; Chantal Archambault, domlebo, Francis Faubert and Louis-Philippe Gingras all recorded albums with him. Fall 2014 marks the return of this musical factotum: Placard is offering up Santa Maria. In August 2013, Geneviève Toupin presented her new project and alter-ego Willows, equally informed by the percussive pow wows of her Métis roots and her Franco- Manitoban heritage. Her intimate songs go from haunting harmonies to catchy melodies, all the while invoking the prairie wind with her warm vocals. Named after the California coastal city and the Saskatchewan ghost- town which both share the same name, Willows is a sonic landscape of desert light and open skies. A true reflection of herself, a veritable cocktail of sugar and salt, one discovers in Jocelyne Baribeau’s songs a musical universe that is both charming and off-beat. With the purest of vocals, Jocelyne carries us away with her sparkling ditties and tender ballads, in a subtle blend of folk and pop-country. Entre toi et moi, was released on April 14th, 2015. Jocelyne was nominated for ‘Découverte de l’ouest’ at this years Gala des Prix Trille Or, won the Winnipeg FolkFest prize at Découvertes Manitobaines in 2014, and her demo EP was nominated for best Francophone album at the 2013 WCMA’s. For the last few years the JUNO winning genre-blurring indy band from the Toronto area have been touring North America, and recently Europe and Australia with a highlight performance at the Sydney Opera House. Musical partners Raven and ShoShona have been finding the right balance of fairytale styled good fortune, old-fashioned hard work and the rare creative chemistry to make a go of it. Their new JUNO nominated album ‘For the Light’ brings more global-blues infused songs to their live shows with a supporting tour already in the making with performances across Canada, the US and Europe. 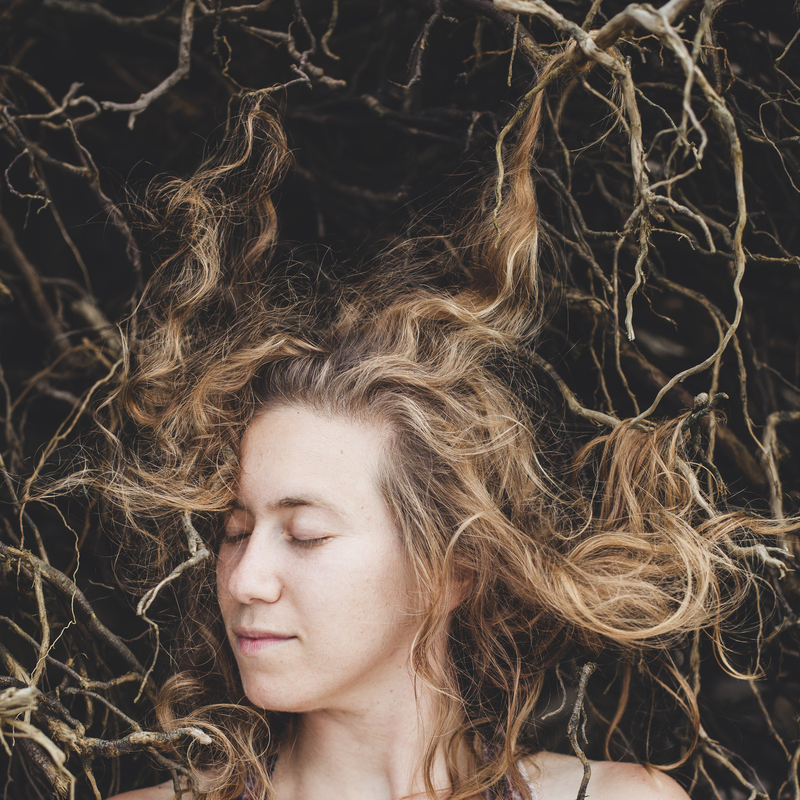 with lyrics from the land, and a nod to the First Nations fiddle tradition, her folky style is both heartfelt and upbeat. 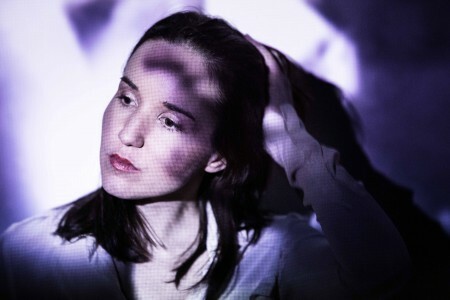 Currie released her first solo album in June of 2014. 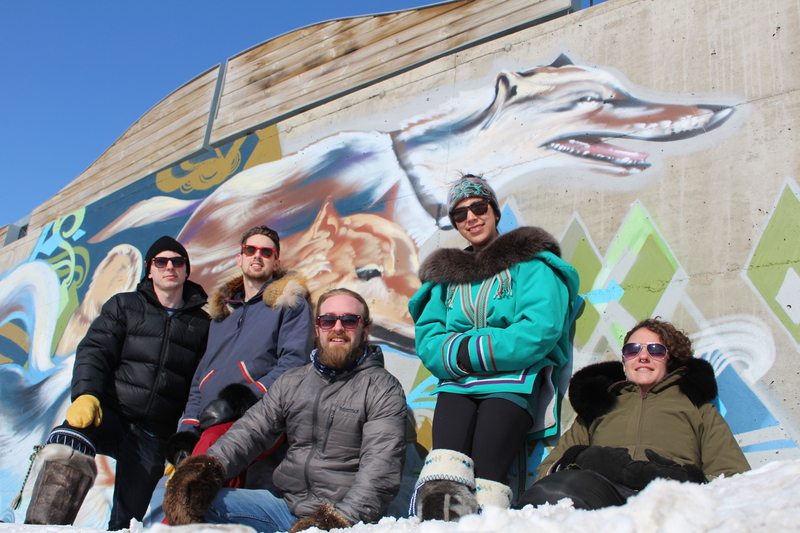 The opening track, But I Can draws on her experiences living with a traumatic brain injury, while the influence of her aboriginal roots and love of northern landscapes, can be heard in her songs, Northern Girl and Eddy Out. Based in Yellowknife, NWT, Miranda is currently working on a children’s album set to be released in November of 2015. 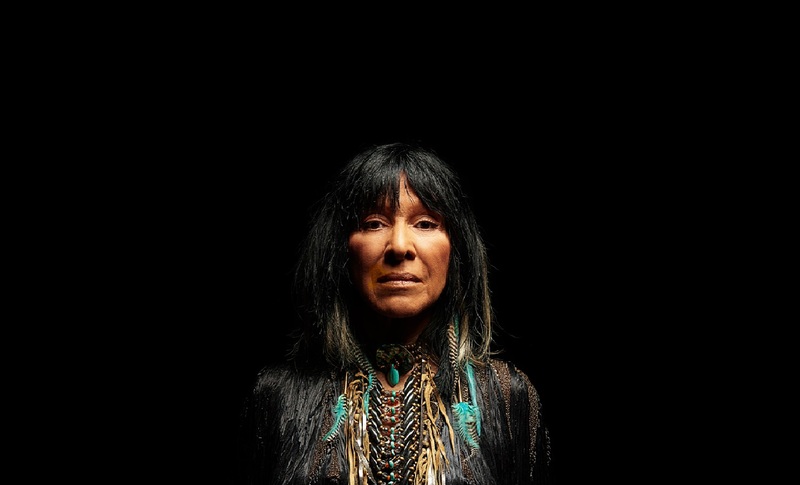 Buffy Sainte‐Marie’s, Power in the Blood, begins with a contemporary version of “It’s My Way,” the title track of her 1964 debut. Power in the Blood also includes odes to the sanctity of life, “We Are Circling” and the splendor of Mother Nature “Carry It On,” a song so euphoric and empowering that it should be taught in schools. Hungry for songs of substance, Sainte‐Marie also found inspiration in UB40’s “Sing Our Own Song,” which had been closely associated with Nelson Mandala and the anti‐apartheid movement in South Africa, and put her own powwow spin on it. Returning to her Roots and her aboriginal heritage, a performance by Laura Vinson has all the ingredients. Authentic Native sound, songs and stories about North American Indians and Métis mixed in a contemporary musical show. Vinson is active in the music industry for over 30 years now. She is born and raised in the shadows of the Rocky Mountains near Jasper National Park. Her Métis heritage is Cherokee, Cree English and French. Laura Vinson & Free Spirit created “The Spirit Sings” stage production. This show appears an international success. A colorful display of Native American rhythms and uplifting lyrics. Toronto-based folk-rockers, The Young Novelists, are known for their beautiful harmonies and energetic live shows. 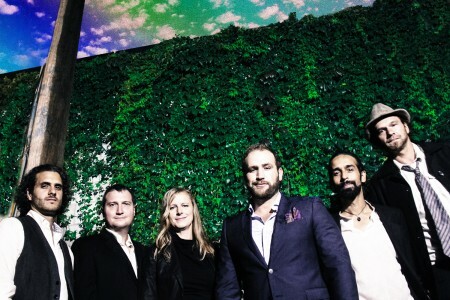 Initially assembled to tour front man Graydon James’ ambitious triple album in the summer of 2009, the band has played hundreds of shows in cafes, bars, theatres, and festivals across Canada and the US. The band’s latest album, “made us strangers” showcases a significant sonic progression for the band. Producer Carlin Nicholson’s minimalist approach to recording – no pitch correction, no click tracks, and some cuts captured entirely live off the floor – helped add some grit to The Young Novelists’ sonic grace. The Lucky Sisters are comprised of three respected artists: Allison Lupton, Rosemary Phelan and Tannis Slimmon. They first performed together in 2011 at a concert in East Waterloo, Ontario, to raise money for the Healing Garden cause. The three immediately felt a musical bond and sang together on one other’s albums. 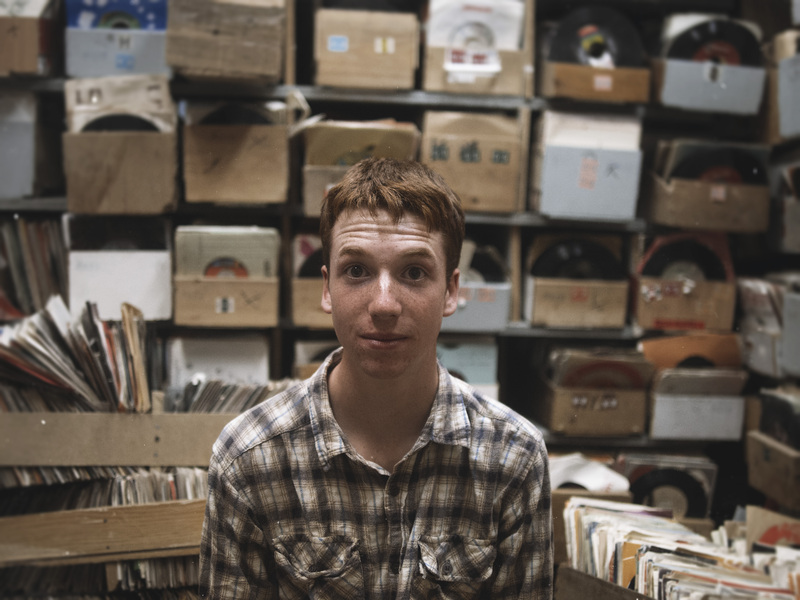 In late 2014, Terry Eagan of Patio Records suggested they collaborate on an entire album. 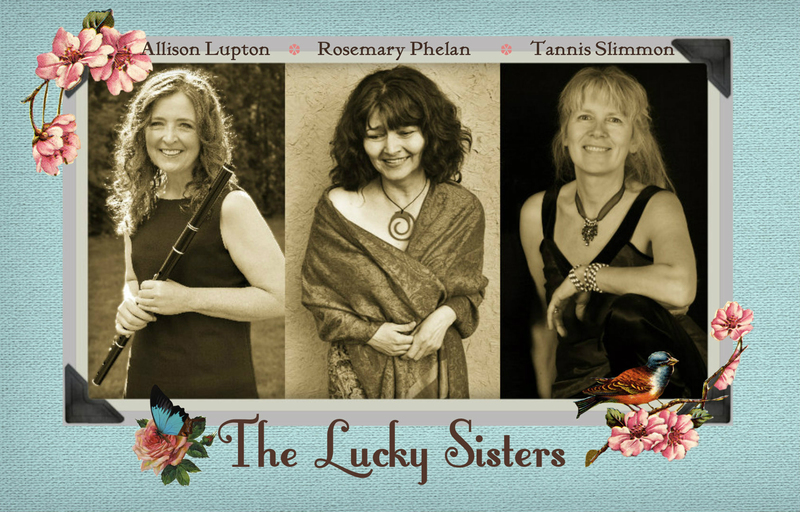 “The Lucky Sisters” recorded “So Lucky”; releasing it in mid-April, 2015. Sadly, Rosemary succumbed to cancer on May 15, with “So Lucky” becoming a part of her enormous legacy. The Good Lovelies throw away their own rulebook on Burn The Plan, a new album that combines their affecting songwriting and impeccable vocals with adventurous new elements. Burn The Plan is a study in how individual voices find common ground; what keeps the Juno-winning Lovelies together is not just an uncanny musical compatibility, but also their unshakeable friendship. 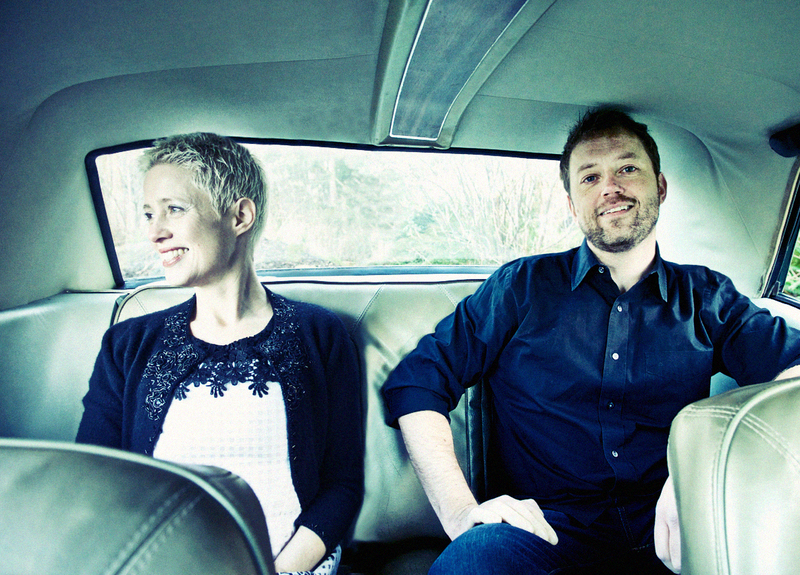 Big Little Lions is the ferocious songwriting duo of Helen Austin and Paul Otten. They started the band from afar, with Helen based on Vancouver Island, BC, Canada and Paul in Cincinnati, OH and between them have a JUNO, WCMA, Canadian Folk Award and won the John Lennon Song of the Year. 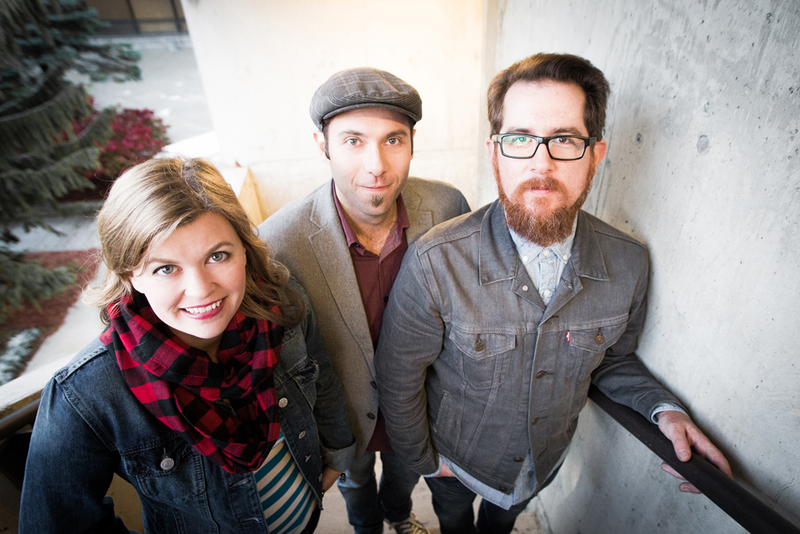 With the rough waters of the Pacific behind them and the wilds of the Canadian North above them, award-winning trio The Sweet Lowdown have developed original acoustic roots music that draws from earth and sky. This is mountain music to be sure; mountains tied to the natural environment of the Canadian Northwest. As such, you’ll hear influences as far-ranging as Celtic jigs, Appalachian fiddling, contemporary pop and that particularly Canadian blend of driving tradition and ground-breaking originality. The Sweet Lowdown draw from these influences, but are not beholden, instead blaze a new trail with original songwriting and innovative instrumental arrangements. 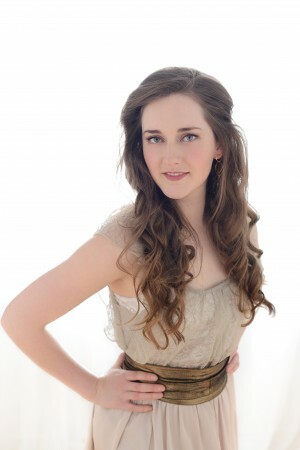 Queen’s Diamond Jubilee Medal recipient, LIZZY HOYT, weaves stories through melodies rooted in Celtic and folk traditions. 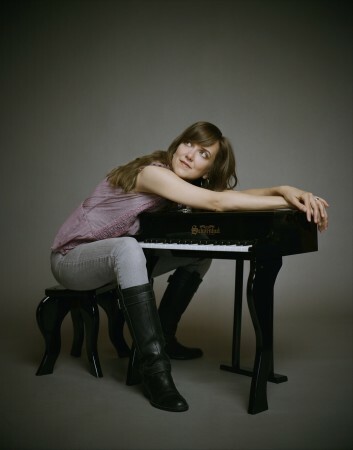 An accomplished multi-instrumentalist, Lizzy has been recognized on both national and international stage as a songwriter and singer. Her fourth album “New Lady on the Prairie”, co-produced with John Reischman, demonstrates a mature and refined ‘trans-Atlantic’ sound, and showcases her ability to craft songs that are touching, poignant and lyrically rich. It has been nominated for three Independent Music Awards and for an Indie Acoustic Project Award. Lizzy has a reputation as first-rate performer & has toured extensively in Canada. 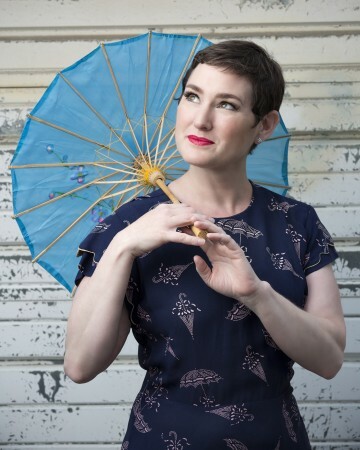 In a career spanning over a decade, Oh Susanna has released five critically acclaimed records noted for their contemplative, thoughtful, folk-inspired songs that transport listeners into an imaginary emotional landscape. This Canadian songstress has a voice that can pierce a heart of stone. Oh Susanna’s songs aim straight for the gut, with the timeless themes of love, loss and longing are expressed in soaring melodies and vivid lyrics. Her newest project is Namedropper, a killer collection of songs written especially for Oh Susanna by Canada’s top songwriters. Classically trained and with a strong contemporary edge, Kiran Ahluwalia sings of Sufi mysticism and the larger human condition. Born in India, raised in Canada, Kiran studied Indian music since childhood. Winning 2 JUNOs and Canadian Folk Music Award – Kiran has over the course of 6 albums created a style her own. Her latest album Sanata : Stillness is a heady hybrid of Indian grooves, Saharan grooves and elements of jazz. Kiran’s songs speak of: fighting a civil war within ourselves, realizing female desire by throwing away shame and untying knots that bind us to stale embraces. 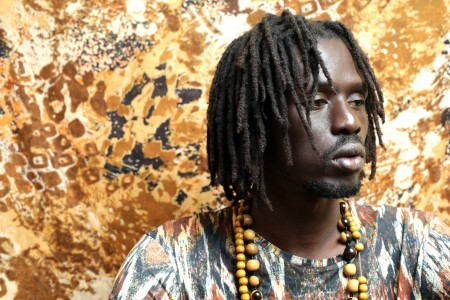 EMMANUEL JAL was born into the life of a child soldier. Through struggles he managed to survive and emerge as a recording artist, achieving worldwide acclaim for his unique style of hip hop with its message of peace and reconciliation born from his personal experiences. Jal’s fifth studio album “The Key”, nominated for ‘Best World Album of the Year’ at the 2015 Juno Awards, was released on September 9, 2014 on Gatwitch / Universal. The 13 track album includes collaborations with Grammy winning artists Nile Rodgers (produced the lead single “My Power”) and Nelly Furtado (appears on “Scars” and “Party”). Wagner Petrilli discovered his passion for the violão (Brazilian guitar) at an early age, and grew up apprenticing under several masters of the instrument in São Paulo. In 1998, Wagner moved to Toronto and quickly became a sought-after guitarist in the city’s Brazilian music scene. Since then, he has travelled across Canada performing with a number of artists and ensembles, and has been commissioned to compose and write lyrics for an array of projects. In 2014, with support from the Canada Council for the Arts, he released his first solo CD entitled Confissão, which continues to receive critical acclaim. 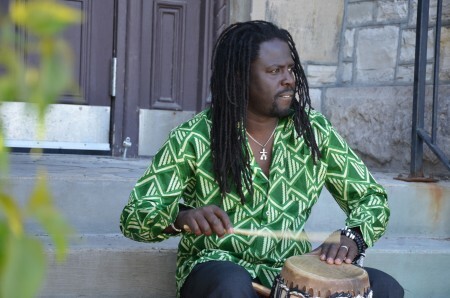 Descended from a Senegalese griot family, Elage performed with Les Frères Diouf, Souljazz Orchestra and The Mighty Popo before releasing his first solo album, Askane, in 2010. Elage has also collaborated and performed with artists such as Lynn Milles, Jim Bryson and Lucie Idlout. His latest album, Diame (peace), features songs in French, English and Wolof inspired by sorrow, joy, poverty, prosperity and betrayal. Ayrad is the brainchild of composer / singer Hamza Abouabdelmajid and oboist Annick Beauvais, who are joined by four multi-instrumentalists. 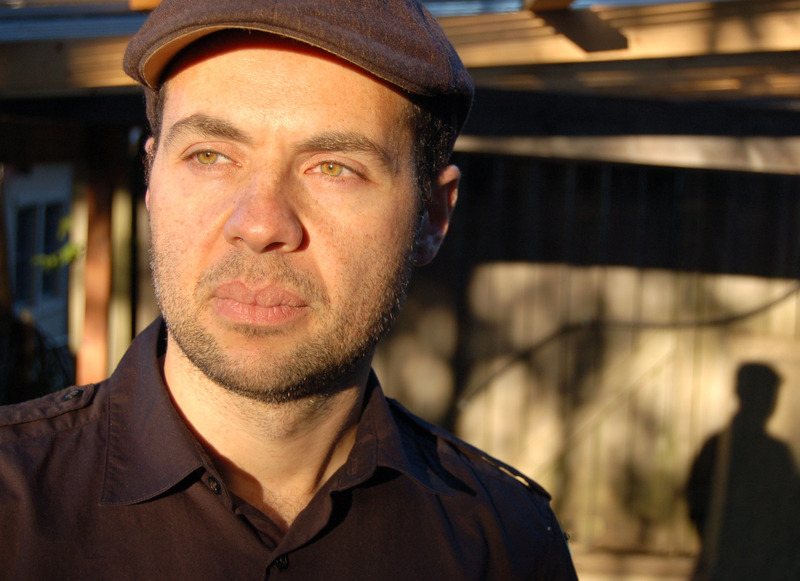 Ayrad explores myriad musical styles, shifting from Andalusian, Berber and Flamenco rhythms to Reggae, Latin and Moroccan chaabi grooves. The collective is distinguished by its moving poetry, its inspiring melodies and its improvisatory skills. In addition to own compositions, the group breathes new life into pieces drawn from the Maghrebian, Arab-Andalusian and Moroccan-Jewish repertoires. 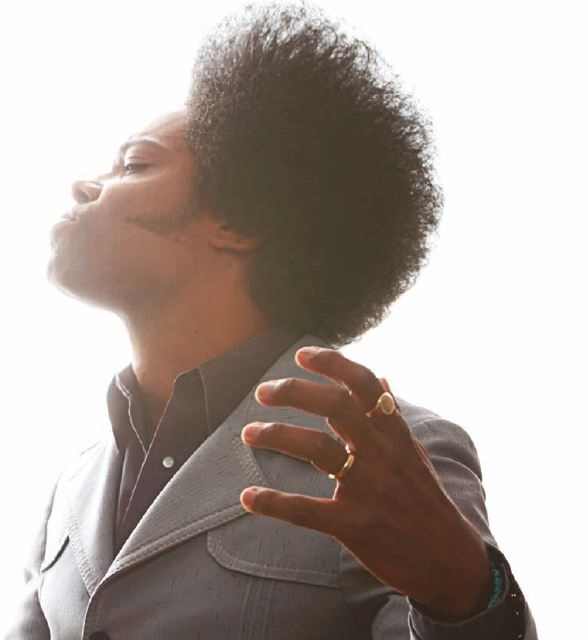 Alex Cuba is a Latin Grammy/Juno winner, singer-songwriter who is not tied to tradition; Alex has a vast musical vision. His sugarcane-sweet melodies, pop-soul hooks and powerful guitar riffs, relinquish a conventional stereotype that exemplifies much of the Latin music landscape. Born Alexis Puentes in Artemisa, Cuba, was immersed in music at a very young age. He joined his father (respected guitarist and teacher) and a group of 24 guitarists in a performance aired on Cuban national TV. Alex then went on to study guitar and bass. “With a name like The Harpoonist and the Axe Murderer, you might be forgiven for thinking that the Vancouver-based duo is some sort of concept group based on a hypothetical love story between Captain Ahab and Lizzie Borden.” (Chris Oke, Yukon News) In reality, Shawn ‘The Harpoonist’ Hall and Matthew ‘The Axe Murderer’ Rogers are a blues-folk outfit armed with an arsenal of harmonicas, a mess of foot percussion, and a road-worn Telecaster. As one fan put it, this ‘is blues that gets you in the crotch’. 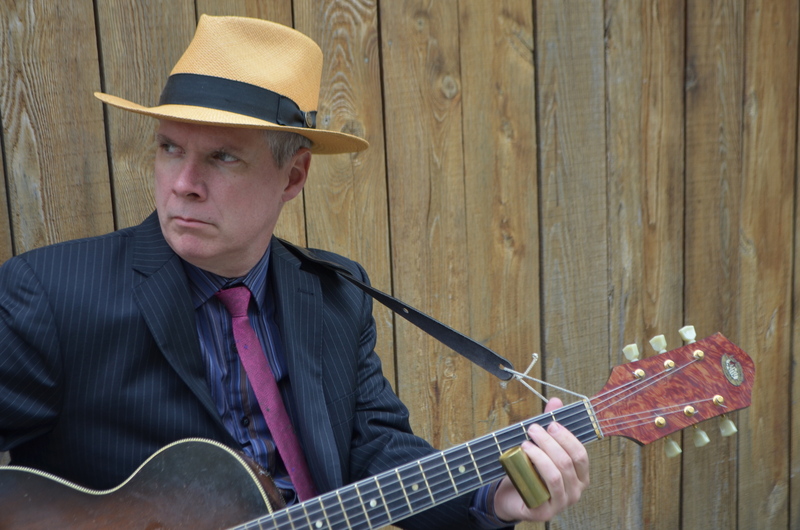 After crossing an ocean, leaving a hemisphere, and a long stint hitch hiking across the American Southwest, singer/guitarist Andrew Phelan made his way to Chicago with the looming need to cross into Canada for work. Once there, he found a healthy contest in singer/banjo player Keenan Lawlor, who had been playing around Vancouver for the previous eight months. 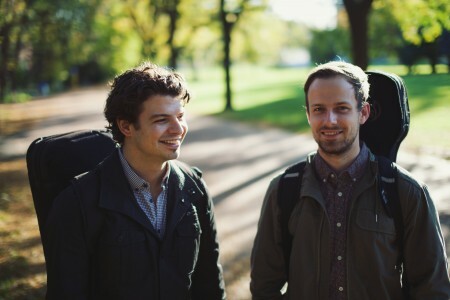 After several months as a duo, and experimentation with additional instrumentation, they recorded their debut eponymous twelve-track album. 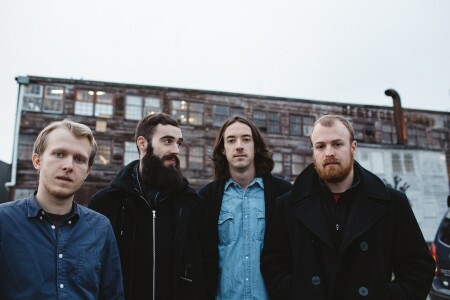 In the spring of 2012, the band emerged as a dynamic four-piece with the addition of drummer Cole George and bassist John Hayes. Both gritty and pretty at once – their take on folk, on blues, americana or anything they turn their hands to can’t be said to be anything but their own. Sometimes it’s as simple as three sweet harmonies, or a single harmonica holding the whole room at attention. Sometimes things growl and shake and come smashing down with a filthy rhythm beneath it. But it’s all Crooked Brothers, to the last drop. Over 9 years, the band has toured in 10 countries, released three albums, and headlined festivals in Canada and Europe. At the start of 2015 Sydney Morning Herald wrote “Jenn Grant’s dreamy, harp-and woodwinds folk is the work of a painter born in paradise”, Grant’s latest offering ‘Compostela’ has been hailed back home in Canada as her best work to date. It’s no wonder it’s earned her two JUNO nominations. ‘Compostela’ released at the end of 2014 in Canada –features an array of guest performers. 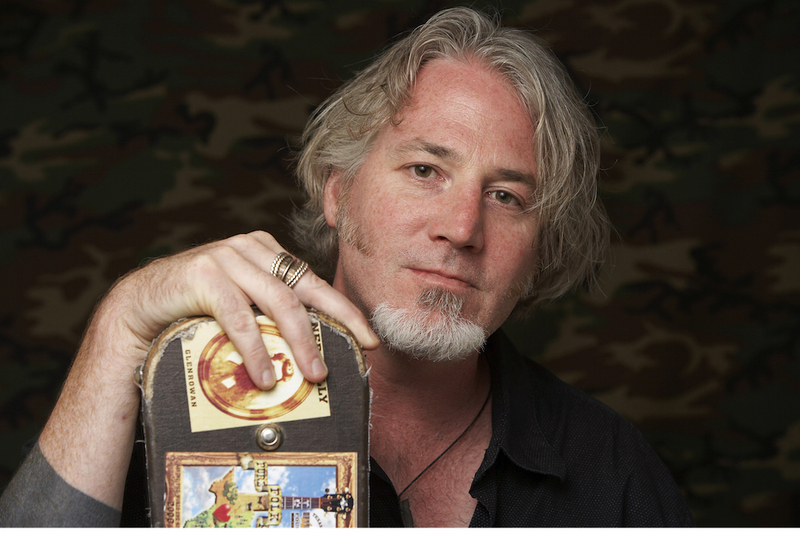 Marking his 25th anniversary as a solo artist, Steve Bell’s 18th career album is an ambitious 4-CD boxset entitled Pilgrimage. A veteran Canadian singer-songwriter whose rootsy troubadoric style has won the hearts of fans in over 1500 concerts across 7 continents, Steve has performed his material 26 times with symphony orchestras across North America, including Massey Hall with the Toronto Symphony. 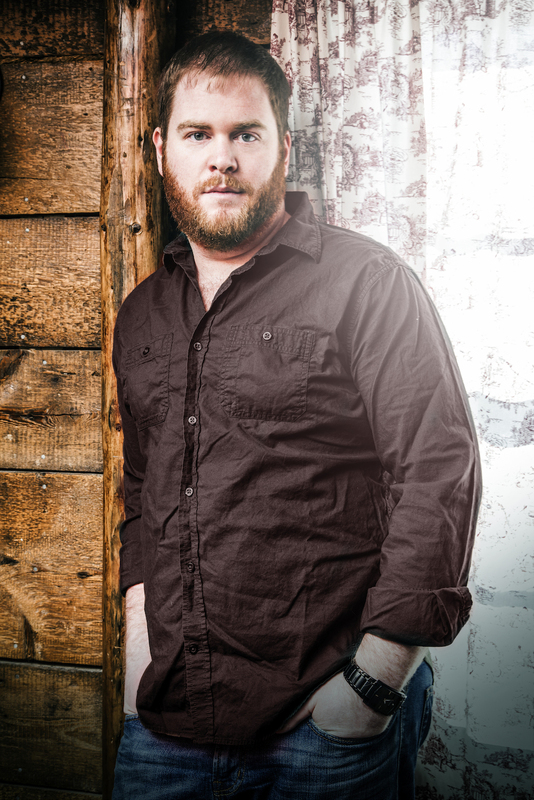 He has received 2 JUNOs, multiple Prairie Music, Western Canadian Music, and Covenant Awards. For his rare longevity, vocational commitment, and advocacy work for the less fortunate, he was awarded the Queen Elizabeth II Diamond Jubilee Medal. There is no doubt that one of the most innovative and enigmatic guitarists that Canada has ever produced is Kevin Breit. 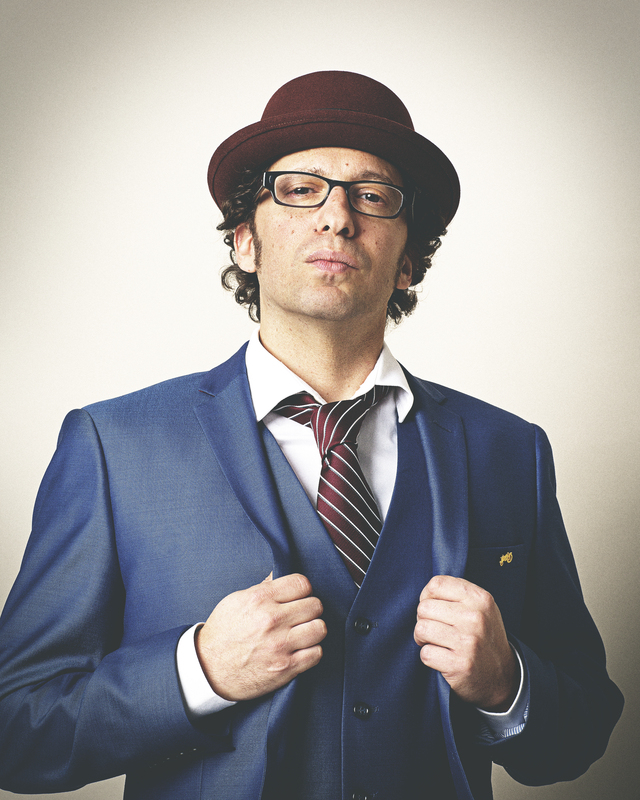 Known for his diversity, fluidity and creativity, Breit is at home performing Jazz, Blues, World and more. His accolades are many – Breit is a two-time JUNO Award winner, a National Jazz Award winner , a Gemini award winner, and the recipient of a Maple Blues Award with Harry Manx for Acoustic Act of the Year. If that were not enough, he’s performed on albums that have a collective 10 Grammy Awards. Bringing together the talents of Frank Evans (The Slocan Ramblers), Eli Bender (Hale and Hearty) and Emilyn Stam (Lemon Bucket Orkestra, Eh?! 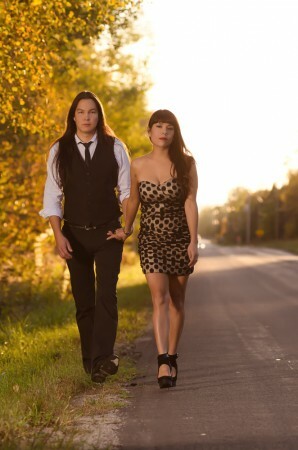 ), The Shoeless strikes a balance between traditional songs and original material. 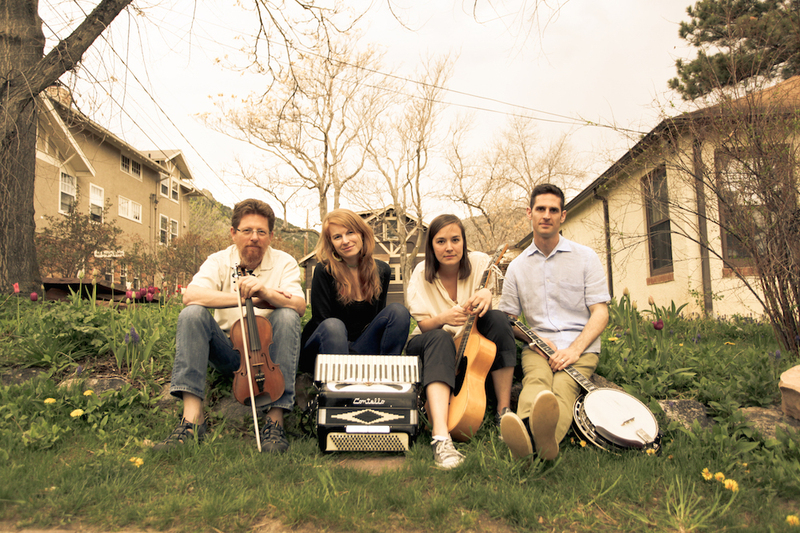 Their debut serves up a hearty cross-cultural stew, with sounds of klezmer, French, Celtic, Appalachian and English music, and was conceived as a tribute to the members’ travels. Three part vocals; cello, fiddle and banjo all taking turns on rhythmic chopping, swooping melody lines, and wacky acoustic sounds – the Shoeless will keep you smiling and tapping your toes – with or without your shoes on! This multi-instrumentalist from Edmonton is an award winning songwriter, vocalist and playwright. “Rebecca Lappa is her name and extremely classy folk, singer-songwriter, jazzy art pop is the nature of her game” (Urban Wally Wallstrom, UnitedRock.com). In June, this 4X CFMA nominee and Edmonton Music Awards winner, released her Factor supported CD, “Tattered Rose”. 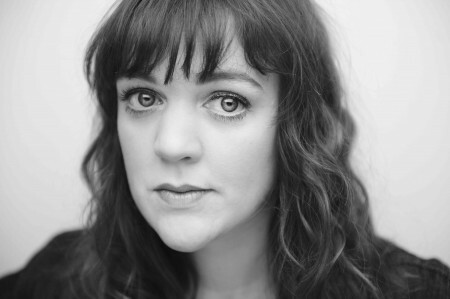 Ranging from a graduation anthem to a banjo ditty featured in her Camelot musical…. this CD showcases her songwriting dexterity, remarkable voice and mature sound. Whether playing a small intimate setting or a Folk Festival stage, Rebecca is unique and engaging. MIRA MEIKLE, a young Canadian singer/songwriter with a fresh new perspective. Her music is captivating and her lyrics are wise beyond her years and are always thought provoking. And she sings with a pure voice that is artfully tuned to her piano playing. She has written over 40 songs and has only just begun. In August 2013 MIRA played the Sirens stage at the Festival of Friends. She also opened for David Bradstreet and Dave Gunning at the Acoustic Harvest in January 2014 and appeared at the Winterfolk Festival in Toronto, Canada. 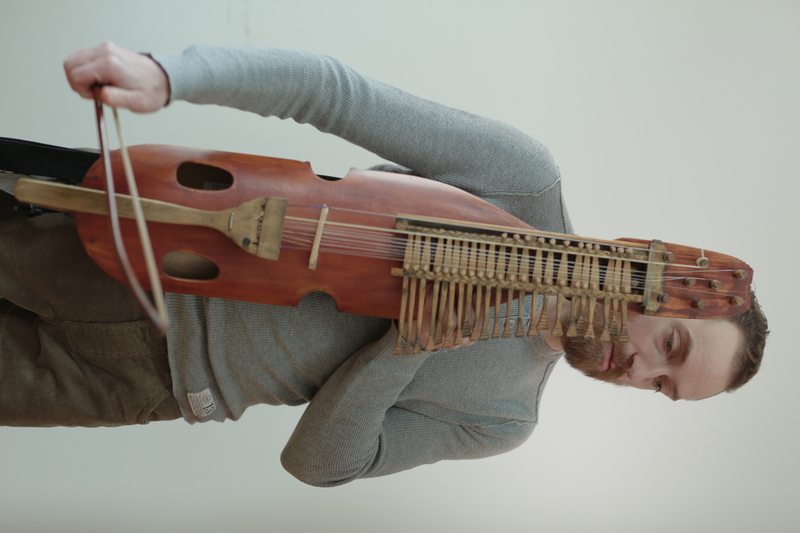 Benjamin Dakota Rogers pushes the boundaries of traditional folk. He is a multi- instrumentalist, singer songwriter and a composer. His lyrics are born from an old world culture and way of thinking nurtured through poetry and fairy tales. Combining fiddle, guitar, mandolin, and banjo with his contemporary lyrics and unique voice he is creating music that draws you in and wraps around you like a warm blanket. Benjamin has developed his fiddle style drawing its roots from the East Coast and Old Time but is transformed into his own style. He has been described as an old soul. The Canadian Folk Music Awards thanks the following sponsors for their generosity.